Welcome to the first entry in what we plan to make a recurring series here on Lives of Wander in the run-up months to our actual departure. I mean, you did come here to read about travel, didn’t you? What we’ll be doing in our Travel Take Two series is take a second look at some of the trips Jeff and I have gone on together. We’ll recall the highlights—the events that make travel the wonderful adventure that is. We’ll also remember the lowlights—the moments when you want to say screw it and jump on the first plane home. And we’ll see what kind of lessons we’ve taken away from each trip, lessons that hopefully will help us maximize the highlights and minimize the lowlights on our RTW trip. Destination: Egypt—A 7-day tour through Cairo, Aswan, and Luxor with a sidetrip to the Red Sea. 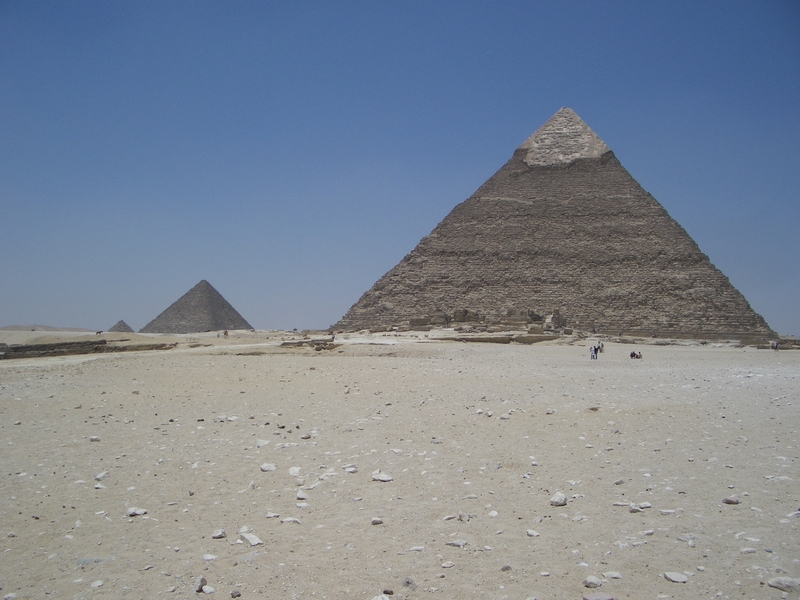 For me, the most amazing thing about Egypt was that it was just as incredible as I thought it would be. When you’ve spent your entire life imaging a place, you often find that when you get there, it doesn’t live up to your expectations. This was not true for Egypt. I think I spent the entire trip walking around wide-eyed and slack-jawed. So what did I love? 1. The Pyramids of Giza. Completely awesome in person, it was phenomenal to wander around the only surviving ancient wonder of the world. 2. 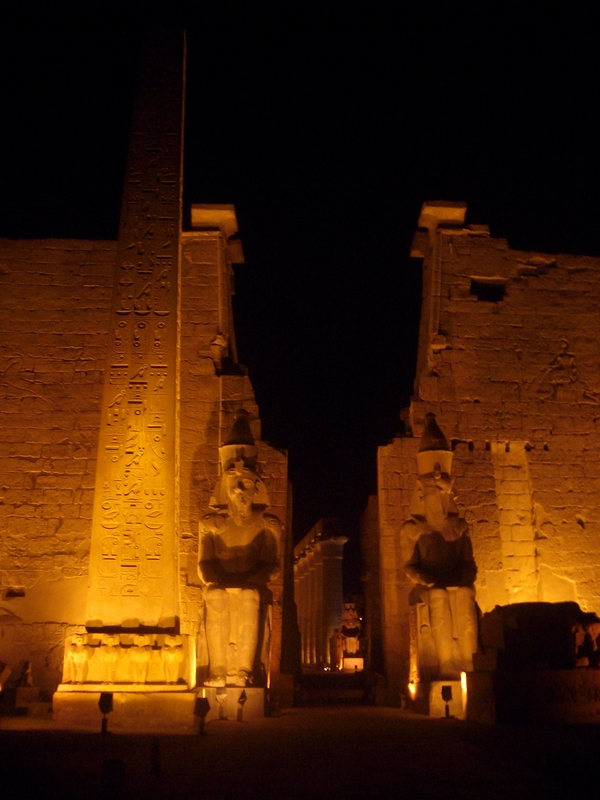 Luxor Temple. We explored this temple at night, when it felt absolutely other-worldly. The avenue of sphinxes glowed, bats flittered around, and robed men would pop out from behind columns looking to get a tip by explaining something or pointing something out to you. 3. 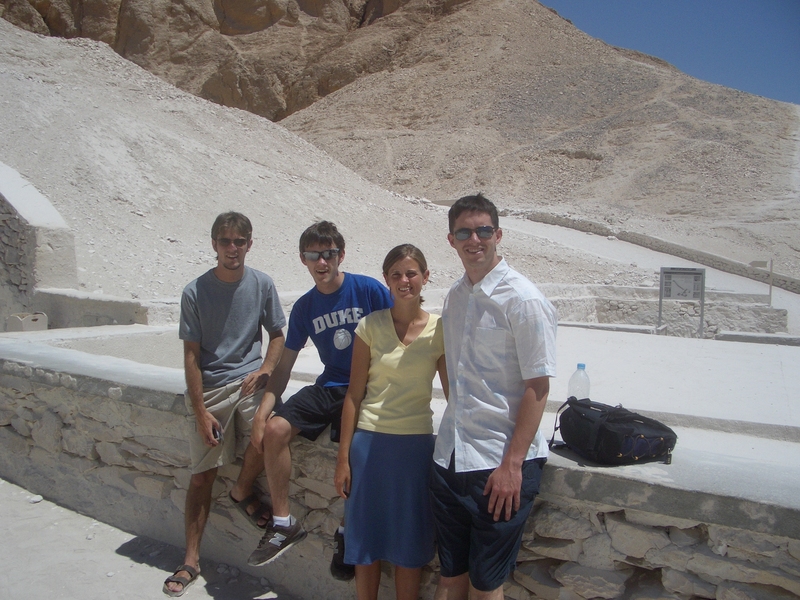 Tour of the West Bank—Valley of the Kings, Valley of the Queens, Temple of Hatshepsut. It was cool to get to go inside the tombs, and it was nice to have a guide who gave us little history lessons at each site and explained art work, hieroglyphics, and ancient Egyptian religious beliefs. 4. Local food. The steak shish kebabs at Amoun Restaurant in Luxor and the chicken fatta at Cafe Riche in Cairo (each maybe about $2) were awesome. 5. 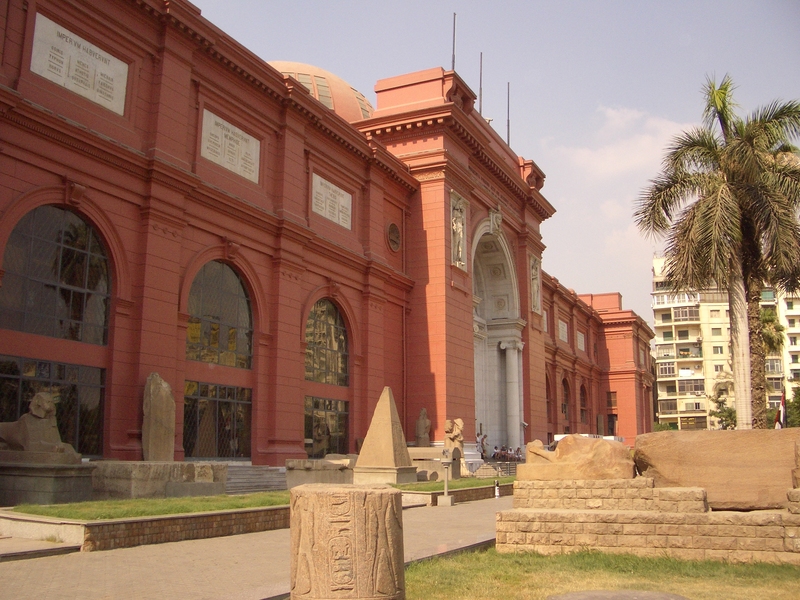 The Egyptian Museum. It was like a huge warehouse of treasures. You couldn’t turn around without seeing something amazing, but the mummies and the Tutankhamun exhibit were the best. 6. Just exploring Cairo. The city was a cacophony of sounds, sights, smells. Wandering along the Nile, hearing the call to prayer blasting out over the city, being out on the streets after dark when it seemed the whole city would come out with huge crowds at sweets and icecream shops, exploring the confusing alleyways of the market, dancing in the back seat of a taxi with a very enthusiastic driver…it was a mad, mad city but in a completely intoxicating way. 7. The friendly people. Almost without fail, everyone we met was friendly. 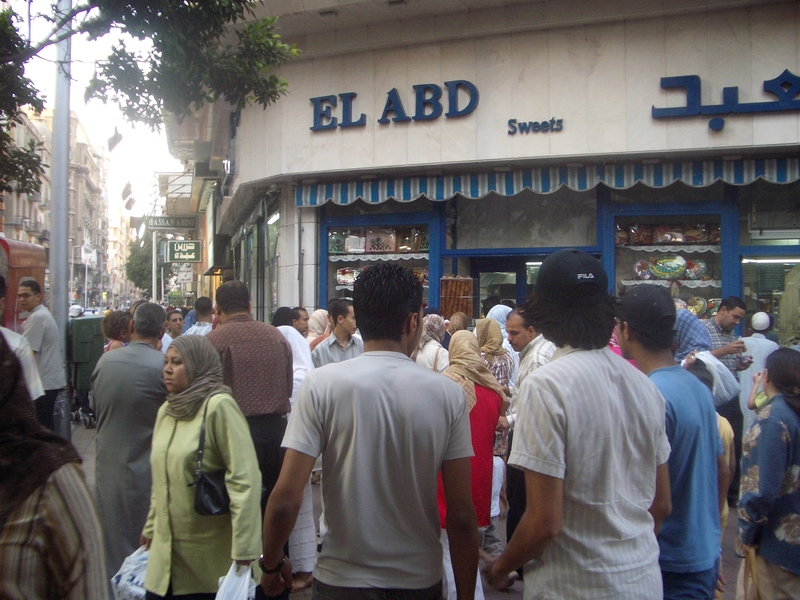 I can’t even count how many times we were told “Welcome to Egypt” from people we simply passed on the street. 8. Getting to travel with my brothers. The combined trip to Greece/Egypt was both Gregory and Mark’s first major international trip, so it was really cool to get to share the experience with them. We’re hoping that family and friends will meet up with us at times on this trip so we can share the adventure of travel with them. While there were certainly “lowlights,” I have to say that in the big picture all of them were rather minor and had little effect on our enjoyment of Egypt. I think that all of my travel companions would agree that this was a fantastic trip that we’d all be happy to do over. 1. The bus ride to Hurghada. The air conditioner didn’t work for the majority of the trip. A young girl threw up in the aisle. A Bollywood movie was played at absolute top volume and involved multiple women screaming in the most shrill voice I’d ever heard. In general, it wasn’t a pleasant trip. 2. Hurghada. Hurghada was our access point to snorkeling in the Red Sea. While the snorkeling was good (though the waves at our last stop were a little much for me), the hassle of Hurghada was annoying. The town was rather dumpy and quite the tourist trap. No one would give us a straight story when it came to organizing a trip, and the hotel rooms we reserved were not what we were given. We were happy to spend the whole day out on the boat and away from this town. 3. The unexpected stop on the bus ride from Hurghada to Cairo. Somewhere in the middle of the desert, in the pitch-black, our bus stopped, and we (the only non-Arabs) on the bus were made to get off and talk to a soldier with a big, scary gun. It was a bit nerve-racking, but it turned out fine as they just wanted to know where we were going. 4. The constant requests for baksheesh (tip). Wherever we went, people called out for baksheesh. I have no trouble tipping people if they provide me with a service, but I find it frustrating to have people ask for a tip for doing something like showing me where a McDonalds is when a) I didn’t ask them to, and b) I have no interest in going to McDonalds. That’s not a service. That’s an annoyance. It’s hard to always say no because you know these people don’t have much money, but just handing out money indiscriminately isn’t the answer. 5. The 25 mosquito bites between my elbow and wrist that I received in one night at the Africa Hotel. Overall our hotels were not so great, except for the New Radwan Hotel in Luxor, which with its pool and air-conditioning (at the crazy rate of about $14 a night) was a true treat. Egypt was a new experience for us in many ways. It was the first predominantly Muslim country we’d ever visited. It was the first time we’d visited the African continent. It was the poorest country we’d visited. There was a lot to learn. 1. Not all jellyfish sting. Who knew? Until I swam through an entire swarm of them, I had no idea. I guess the big takeaway point here is that what is true at home may not be true elsewhere. Be open-minded. Be daring. 2. It’s important to maintain perspective when haggling over prices. When we were in Hurghada, we were trying to find the best deal on a snorkeling trip. We’d walk into a place that had a price listed on the wall, but when we’d ask at the desk, they’d always say that price wasn’t right and quote us something a little higher. This was really frustrating, and we spent some time haggling, before realizing that we were really arguing over the equivalent of a dollar or two. It wasn’t worth it. 3. Always ask to see a room before you commit to it, and don’t be tempted to book multiple nights before you’ve stayed at a place. It’s good to have a place booked for your first night (especially if you arrive at 3 a.m. as we did in Cairo) but don’t commit to more than one night without having seen the place. In the morning, you can book another night if the place is good, and if it’s not, you can find somewhere else where you can ask to see the room first. 6. If you’re only going to have a short time in one place, have a plan for what you want to do. Just exploring and stumbling across things is great when you have lots of time, but isn’t the right way to approach only one day in a place. 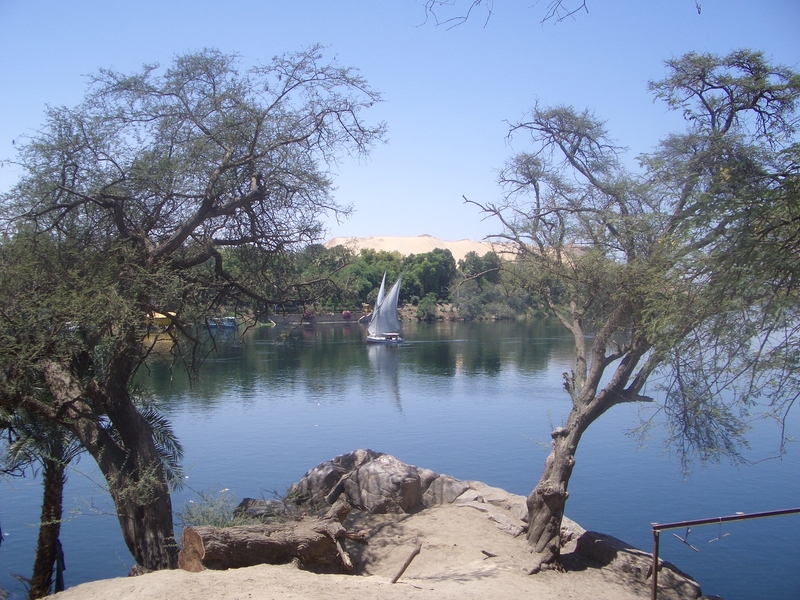 We didn’t get the most out of our time in Aswan, because we didn’t really have a plan. 7. Bring ear plugs. Those Bollywood films are really, really painful. Ear plugs are necessary if you plan to maintain your sanity. 8. Dress appropriately. When we were at the Valley of the Kings, a tour bus pulled off and a number of tourists got out wearing clothes that were entirely inappropriate—bikini tops and cut off shorts, men’s tanktops, etc. Egypt is a Muslim country, and while no one expects you to wear a burka or shalwar kameez, it’s only considerate to wear conservative clothing. Not only is this a simple matter of respect, it also protects you from unwanted attention and/or harassment. The same is true if you’re visiting a Catholic Church in Italy, a Buddhist monastery in Southeast Asia, or your new boyfriend’s grandma right here in the U.S.
9. “Just close your eyes, pray to Allah, and go.” As we were standing across a huge intersection from the Egyptian Museum, staring at buses that didn’t ever stop but only slowed enough for passengers to jump out of, cars that paid no attention to lane lines, and automobiles that used their horns instead of their brakes, wondering how in the heck we were going to get across, a local man approached us and gave us that advice. He then grabbed us by the hand and led us through the traffic, dropping us off right in front of the museum, then wishing us a good visit and disappearing into the crowd. His advice has stayed with me. Sometimes to have the experience of a lifetime you just have to set aside your fears and go.